Kriegar Damascus Genuinel Pearl Pocket Knife | BUDK.com - Knives & Swords At The Lowest Prices! 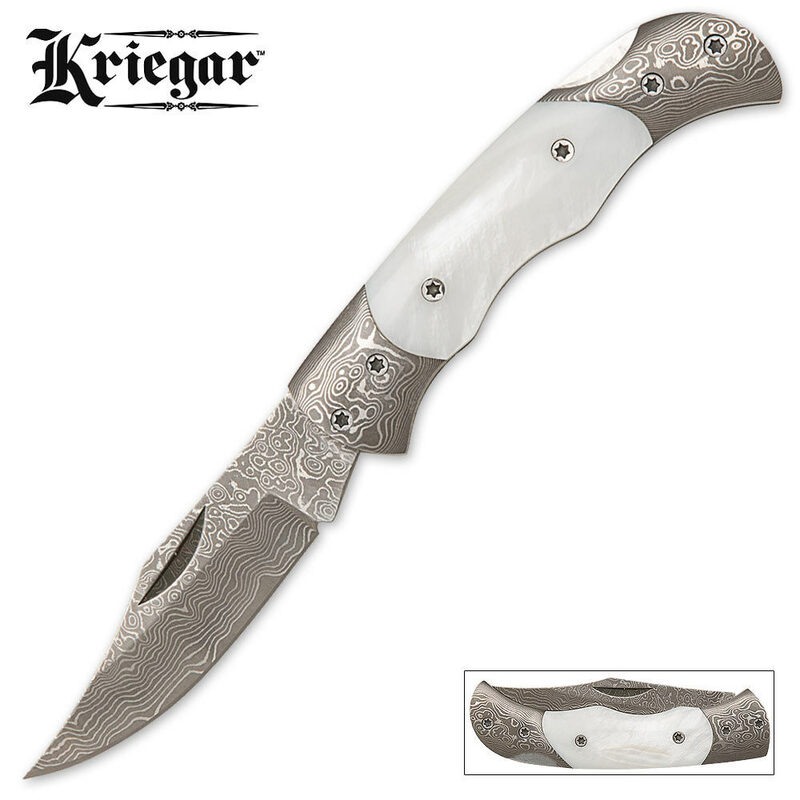 This custom Kriegar lockback Knife features a drop-point Damascus steel blade, accented by intricate Damascus bolsters. The genuine pearl handles were hand selected to ensure the most quality specimen were used. You won't find a knife of this quality at a price this low ever again!